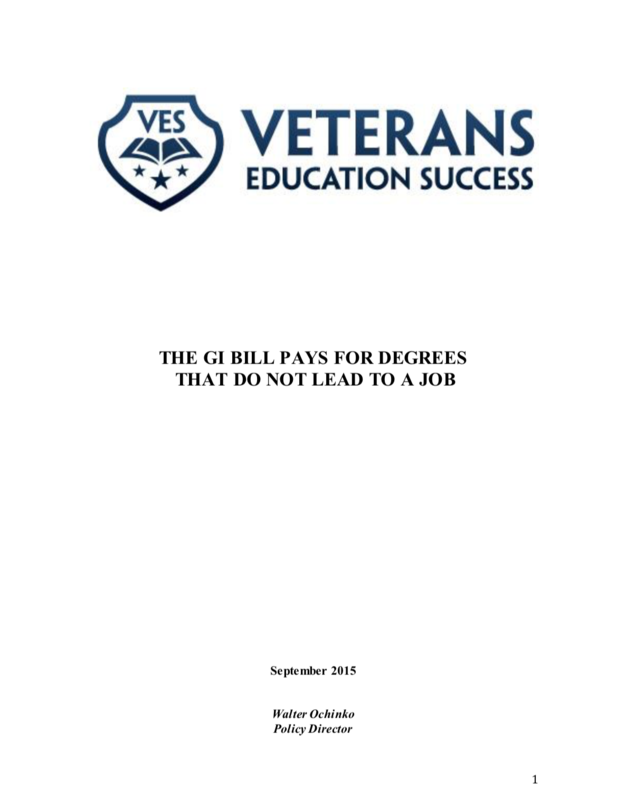 Unfortunately, some programs approved for GI Bill benefits leave graduates de facto ineligible to obtain a job in their field of study because the school (1) lacks the appropriate accreditation or (2) fails to meet state-specific criteria required for certification or licensure. In addition, some graduates may be technically eligible to obtain a job in the field of study, but are not hired because they are unable to obtain the professional certifications that employers strongly prefer. The programs at issue range from law to teaching, criminal justice, and numerous healthcare fields, including nursing, psychology, medical assisting, dental assisting, and surgical technology.